Social Housing - News - How are councils using companies? How are councils using companies? Four years ago, the government-commissioned Elphicke-House Report explored how, after decades of inactivity, councils could boost their delivery of new homes. Among a plethora of recommendations, it suggested that stock-owning councils restrained by borrowing limits on their Housing Revenue Accounts (HRAs) should consider a new model – the wholly owned housing company. In October, prime minister Theresa May announced plans – now enacted – to lift the ceiling on the HRA borrowing cap. A recent survey by the Local Government Association discovered that 94 per cent of stock-owning councils will use new powers to borrow to invest in housebuilding programmes. So, does the decision to scrap the cap spell the end of the wholly owned local authority housing company? Councils are using their housing companies to provide a wide range of housing types – but very few, if any, are exclusively producing the social rented homes that have historically been provided within HRAs. However, local authorities often use their housing companies to address specific needs – outside the social housing realm – which private developers are failing to meet. 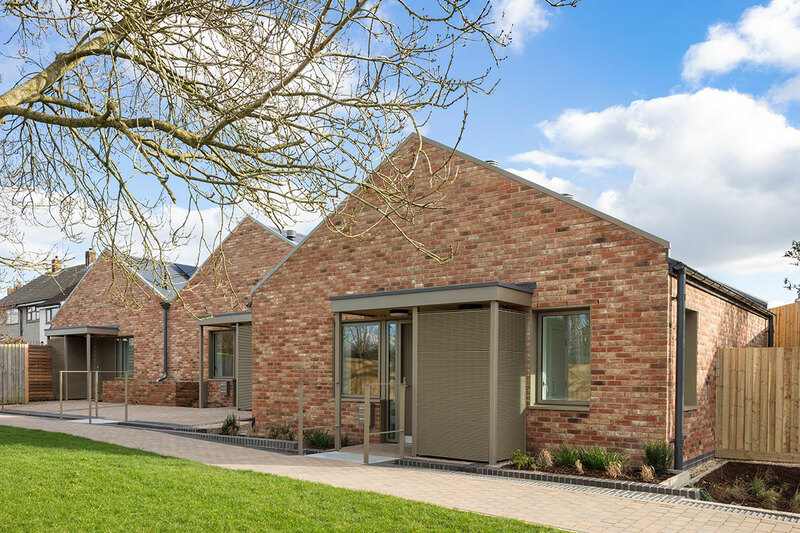 “A number of councils are using their companies to produce housing for sale of a higher quality than the private market is providing in their area, or focusing on specialist housing for the elderly,” says Tom Kenny, policy officer at the Royal Town Planning Institute (RTPI). Many councils have created more than one housing company, each targeted at tackling a different sector or need. Some councils develop for-profit homes through one company and set up a separate company as a registered provider that can benefit from government grants to provide affordable homes. In 2011, Wokingham became one of the first councils to adopt the wholly owned housing company model. Funded entirely through commuted sums received from developer contributions in Section 106 planning agreements, the company builds on land transferred from the council, with a proportion of profits returned to the council to help fund services. Last year, it built 100 homes at affordable rents, according to Graham Ebers, deputy chief executive and chief finance officer at the authority. In 2017, in a co-ordinated strategy, the London Borough of Tower Hamlets created two companies simultaneously. The first, a wholly owned company, adopted a target of buying up to 100 properties from the market to be let at market and intermediate rents before developing new homes. However, government rules prevent the use of Right to Buy receipts in a housing company in which a council has a controlling interest. To get around this restriction, Tower Hamlets created a separate community benefit society to provide homes for sub-market rent. Although the council would only appoint two out of five trustees, a deed of covenant – which it wrote – requires that the rules of the society cannot be changed without the council’s consent. Legal uncertainty can also stop some councils providing higher levels of social rented homes through their housing companies, says Scott Dorling, partner at law firm Trowers & Hamlins. Austerity is another limiting factor on the amount of social rented homes provided through housing companies. During a period of rapidly shrinking grant funding, councils have used powers under the Localism Act 2011 to set up companies across a number of areas to generate commercial income to help fund services. “In most if not all cases, a major driver for setting up housing companies has been to earn income for councils’ general funds,” according to Steve Partridge, a director at Savills Housing Consultancy. 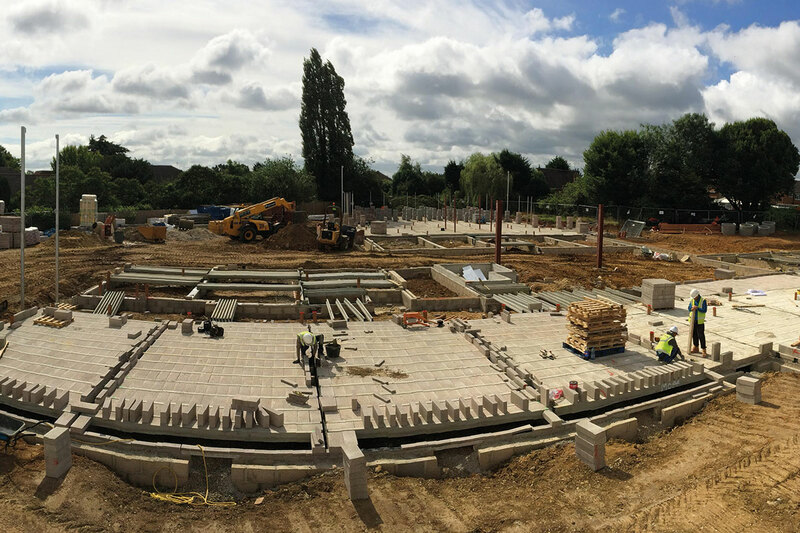 Created in 2016, Brick by Brick has planning permission for 1,253 homes on 39 sites, with around 48 per cent being provided at affordable rents. The company is funded by borrowing from the council, which sources the funding from reserves, the Public Works Loan Board and grants. It has also received grant from the Greater London Authority to build shared ownership units. The company also builds homes for an independent charity, Croydon Affordable Housing, set up by the council to benefit from Right to Buy receipts and provide homes at no more than 65 per cent of market rent. Colm Lacey, chief executive of Brick by Brick, says that council-led housing companies “can play a key role in the supply, acting as either developer or, in effect, contractor” for new homes built through the HRA. Most housing companies receive all, or a large proportion, of their development cash from their parent councils. Local authorities can borrow at cheap rates from the government’s Public Works Loan Board and on-lend it to the companies. State aid law requires the councils to charge a commercial rate, creating further profits that the council can put towards services. In addition, the strategy of using housing companies to return profits in the form of dividends to parent councils holding 100 per cent of the shares means that some companies are more focused on higher-yielding housing tenures, with a handful, such as City of Wolverhampton Council’s WV Living, producing a large proportion of homes for market sale. This is likely to act as a brake on the long-term growth of individual housing companies, according to some in the sector. Graham Ebers, deputy chief executive and chief finance officer at Wokingham Borough Council, one of the first authorities to create a housing company, says: “The idea is that once you have repaid the debt, in the longer term you have a very viable entity that could go to market independently and act in a much more commercially spirited way. The revenue-raising motive for many housing companies, and the related focus on markets that are not in direct competition with the HRA’s social housing product, means that most councils are unlikely to abandon their housing companies, according to Mr Partridge. “Because they are not doing pure social rented, the lifting of the HRA debt cap is unlikely to have much impact,” he says. A resurgence in HRA development could actually boost the use of councils’ housing companies, Mr Partridge predicts, in being complementary to their work. “If you have a development company building 100 homes and planning rules mean that 30 of these have to be provided as affordable, it will be easier to do this with a council-owned company than selling them to a housing association,” he says. Janice Morphet, visiting professor at University College London’s Bartlett School of Planning, who is co-authoring a report for the RTPI on methods of direct provision of local authority housing, says that there might be a pause in housing company work as authorities focus on expanding their HRAs. Goram Homes launched last year, and was a key pledge by Marvin Rees, mayor of Bristol, during his 2016 election campaign. 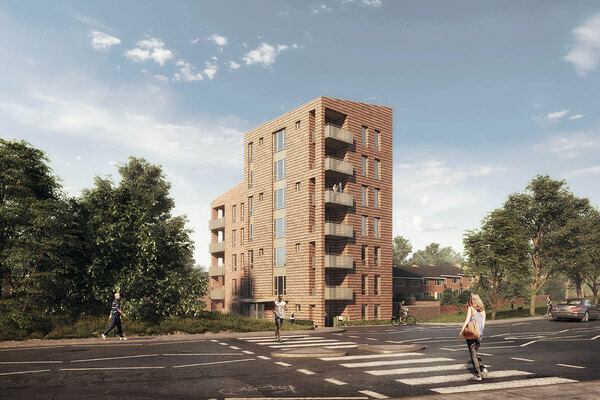 It already has planning permission for 268 homes on two sites in the city. The company aims to provide 30 per cent affordable housing – 23 per cent at social rent levels and seven per cent for shared ownership. It enters into a new joint venture with a private sector developer for each site it develops – the company puts in land and equity, while the developer provides development funding. The council has already set aside £100m that it could borrow from the Public Works Loan Board and on-lend to the company to fund future development. Although many councils have enthusiastically embraced the lifting of the cap, others may be more circumspect, according to Mr Bibby. However, Mr Dorling says that authorities can reduce the potential impact of the Right to Buy on their HRA development programme by managing their lettings sensibly. Some authorities will be restricted in the amount they can expand their HRA housing programmes because they are still governed by prudential borrowing rules, says Mr Bibby. 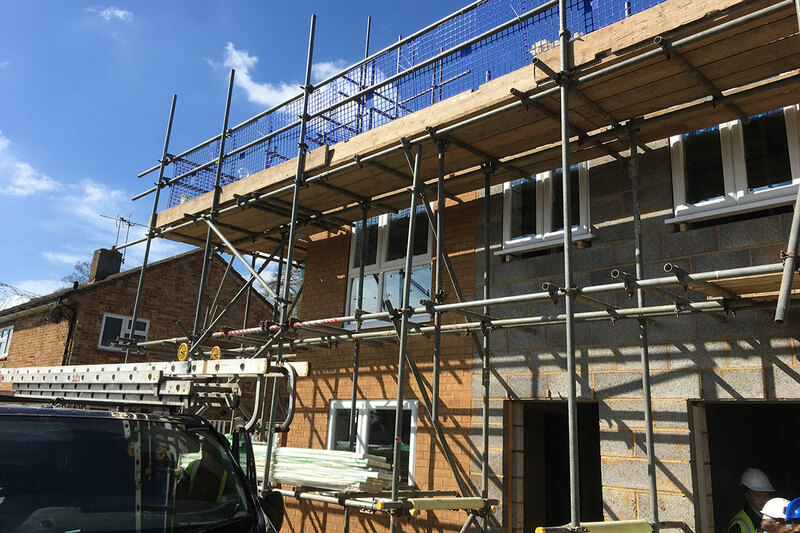 In addition, many authorities might take a cautious approach on new build through the HRA because 2018’s Social Housing Green Paper suggested a reform of the Decent Homes Standard. “This means they might need to focus their HRA cash on refurbishment,” Mr Bibby says. A more prosaic reason that the lifting of the HRA cap might not have a major impact on councils’ use of housing companies is that the model has so far only produced a modest amount of housing. “With some exceptions, councils that have set up housing companies of one sort or another by and large haven’t achieved a great deal,” says Jonathan Clarke, managing director at corporate finance firm Centrus. One finance director at a council in such a position complains that politicians can often use the idea of a housing company as an electioneering gimmick before abandoning the idea. Whatever the future holds for the fledgling wholly owned housing company model, he believes that the lifting of the cap is likely to have a far bigger impact on council housing delivery.